For many people, conversations involving suicide and mental illness are uncomfortable. Locals Karlene Phillips, Mary Beth Rykal, and Lauren Foeckler are on a mission to curb this discomfort. All three work in behavioral health. Through their work and their own life experiences, they realized that they all had one similar passion: to bring about more community awareness of suicide and mental health issues. From this passion came the Sharing Hope Walk to Prevent Suicide, which is the first-ever totally local suicide awareness event in the Valley. In the past five years, more than 160 individuals have completed suicide in Dunn, Chippewa and Eau Claire counties. This number doesn’t take into consideration any attempted suicides, and it certainly doesn’t factor in the countless family members and friends who are affected by these events. For years, national awareness fundraisers have occurred in our communities. In fact, Phillips, Rykal, and Foeckler have been involved with many of them. These events have been successful; however, funds are usually given to a national organization. It is very seldom that these funds directly impact our hurting neighbors here in the Chippewa Valley. That’s what makes the Sharing Hope Walk to Prevent Suicide unique: All proceeds will go to local suicide prevention organizations. The National Alliance on Mental Illness Chippewa Valley (the local chapter of a national group) and Prevent Suicide Chippewa Valley will allocate funds for community resources such as support groups, suicide and mental health education, supporting resiliency in at-risk populations, and a funds request bank. Local people will make informed decisions to help our friends and family members right here, without national organization stipulations redirecting funds. On Saturday, Sept. 15, Phillips, Rykal, and Foeckler, along with many other teammates and volunteers, will help facilitate a one-mile walk through Carson Park. “We want to provide an opportunity for conversation,” Foekler added. The walk will bring together members of the community to support each other, to share their stories if they’d like, and – most importantly – to not feel ashamed or alone. The event comes at no cost, though attendees are encouraged to make a freewill donation. Speeches will be given beginning at 10am, including words by Karlene Phillips, one of the organizers; UW-Eau Claire professor and suicidologist Jennifer Muehlenkamp; and a local community member who will share his story as a survivor of a loved one’s suicide. 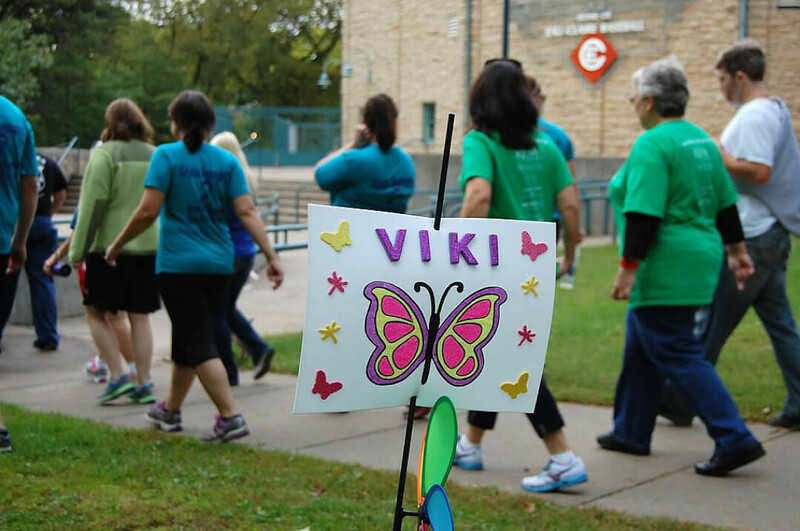 At the start of the walk, attendees will experience a special exhibit in honor of the Chippewa Valley neighbors who completed suicide in the past five years. There will be a DJ, activities for children, face painting, henna tattoos, a raffle, and booths with information from local organizations that support the cause. Learn more about the Sharing Hope Walk to Prevent Suicide at sharinghopechippewavalley.org.